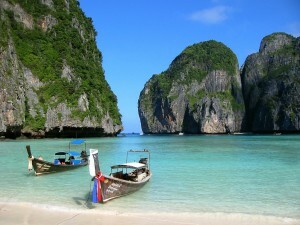 Phuket is well established as one of Thailand’s Most Desirable and Luxurious Real Estate Markets. If you are looking to buy a second home in the most exclusive resort area of South East Asia, there is no better choice than Phuket. With the island ringed by beautiful white, sandy beaches surrounded by clean blue water, anyone who has visited Phuket will understand why the destination is a top choice for affluent tourists from all around the world. The majority of Phuket’s tourist industry and property development is located on the island’s West Coast – a 50km long coastline which offers gorgeous beaches and sunset views over the Andaman Sea. Here you will find some of the most upmarket and exclusive five-star resorts in the world, together with many multi-million dollar luxury villas. With the majority of buyers of Phuket real estate having come from Europe over the past decade, the market was quite heavily impacted by the economic crisis of 2008. Since 2011, however, prices on the island have continued on their sharp, upwards trajectory due to improvements in the economies of Europe and the US, plus an influx of buyers from Russia and, more recently, buyers from China and other key markets in South East Asia, such as Singapore and Malaysia. Affluent Thais are also buying in Phuket in increasingly large numbers, both as holiday homes and for investment purposes. The strength of the market on Phuket has led to keen interest from many of the largest developers in Thailand, who were previously concentrating on developing only in Bangkok. Over the past four years, the continuing scarcity of prime building plots has led to rapidly increasing land prices, which have in turn led to higher and higher prices for condos and villas. As prime locations in the most desirable areas of the island become more and more scarce, so prices can only increase still further, meaning that capital growth for both condos and villas is guaranteed to continue well into the future. According to statistics issued by the Tourism Authority of Thailand, property prices have increased by a minimum of 10% each year since 2011. In order to keep the price of condos and villas affordable for most buyers, developers have reacted to the rapidly increasing prices on Phuket by making apartment sizes smaller. This means that it is still possible to buy condos on the island in good locations for under THB 2 million ($60,000). 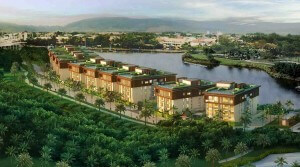 Villas start from around THB 5 million ($150,000). Tourist numbers to the island are increasing year after year, as are the numbers of expats living permanently in Phuket, which means that rental yields here are excellent compared to most other destinations in East Asia, with rental yields of 6-8% per annum commonplace. Phuket is seeing tremendous levels of investment in infrastructure compared to most other parts of Thailand. 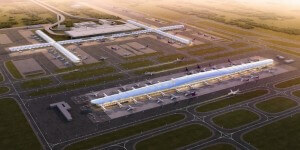 Most notable among the many improvements is the $180 million expansion of Phuket International Airport, which is scheduled for completion in mid-2015. The improvements will see the opening of a new international terminal together with a multi-storey car park. The number of direct flights to the island, both charter and scheduled, is increasing dramatically each year in order to cope with the constantly rising demand from tourists. It is now possible to fly direct to Phuket from most major cities in Asia, as well as long-haul routes such as Moscow and Dubai. 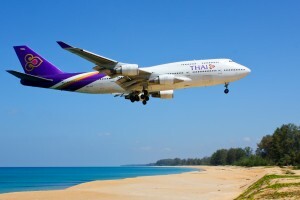 The number of flights coming into Phuket during the high season 2013 was 27% up on the 2012 numbers. In addition to tourists arriving by air, more and more visitors are arriving by sea, as Phuket is an important destination for cruise liners. Phuket’s Deep Sea Port is currently being expanded in order to accommodate two large liners simultaneously. The $500 million infrastructure improvement programme being undertaken in Phuket will also include many upgrades to the island’s road network, making it a great deal faster and easier to travel from one area to another. 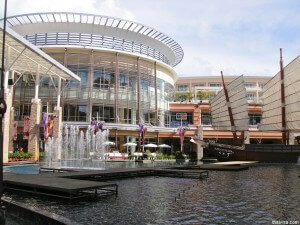 Keen shoppers will appreciate the fact that Phuket already boasts a world class shopping mall in the form of Central Festival, located near the centre of the island. Central Retail, Thailand’s largest retailer, is investing $600 million on expanding its presence on Phuket, such is their strong belief in the high potential of the island. Another large mall is also under development, The Garden, which is being developed by the owners of the largest mall in Bangkok, Siam Paragon. These malls are making the island an attractive destination for more than just its glorious beaches and the bustling nightlife of the island’s party capital, Patong. The result of all these infrastructure improvements is that Phuket will become an increasingly attractive destination for both tourists and expats, bringing in increasing numbers of both to the island, which is sure to lead to a continuation of the high rental yields achievable on the island, plus strong capital gains. So, no matter what you are looking for from a property purchase – a holiday home, a permanent residence or a high-yielding investment, Phuket is truly a property purchaser’s tropical paradise.